This seminar room is hosted in a Parisian coworking space. 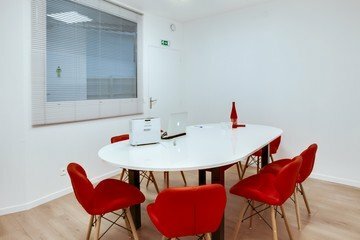 The venue is perfect for a meeting, a training session, or a board meeting. 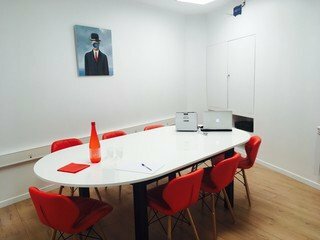 About the coworking space: former artist's studio over 180m2 very bright, fully furnished, we offer posts and adapted services to your needs: very high internet access, secure storage, multifunction laser printers, kitchen, cafeteria and new generation meeting room. Located in the 5th arrondissement, between Jardin des Plantes and Mouffetard street, the room offers a safe space to gather. The neighborhood is a combination of dynamism and calm, surrounded by shops and restaurants, anything you will need is just a step away. The coworking space is equipped with internet, coffee/tea and water are available for free. Two lunch options are possible. Some extra equipement are available upon request. Upon request, possibility to hire on the weekend from 9 am to 7 pm. Excellent service and standards - I am very impressed and will refer people to this location! Thank you!! !